No tax return, no financial reports, no problem! Low Doc Loans for Small Business – no problem! According to the Australian Securities and Investments Commission (ASIC), lenders can verify your ability to repay the loan with an accountant’s letter, or a business bank account statement. This means you don’t have to share your personal finances with anyone you don’t trust, while still accessing the required funding for your new vehicle. If you don’t have the right tax returns or financial reports, it’s not a problem! Why would you need a low doc loan? Upgrading is going to help you to save money by cutting down on operating costs. When you want to buy a new car for your business, it can be difficult to secure finance for it if you don’t have the documentation that traditional lenders require. This can cause a hold-up in your operations or growth because you’re unable to take the next step. That won’t be the case with AAA Finance. A low doc loan cuts through the red tape and allows you to focus on getting the best vehicle for your needs. It might be a new station wagon big enough to transport equipment or products to potential sales points, or a new ute that’s bigger and better than the 10-year-old one you’ve got sitting out in the carpark. Whatever you need, upgrading is going to help you to save money by cutting down on operating costs and can free up much needed cash flow. How can a new car help your business? 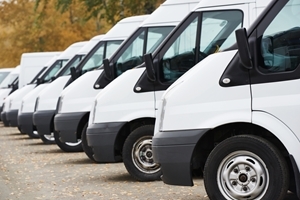 Saving on fuel costs is a smart move – particularly if a large part of your business relies on driving. It might be visiting customers or delivering goods, but you’ll be spending money on petrol, and minimising this cost will help to keep more money in your business. A Toyota Townace van from 2003 uses 10 litres of fuel per 100 kilometres travelled, or at least it did when it was new. That might not seem like a lot, but some modern vehicles use no fuel at all. 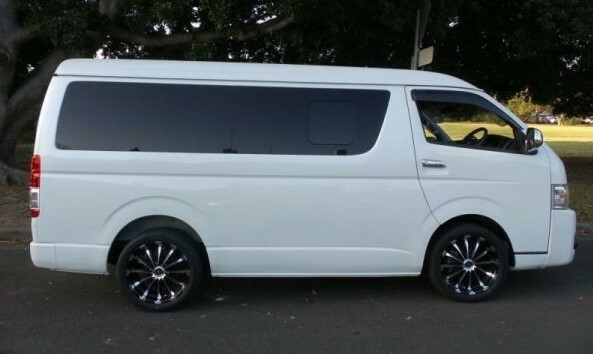 In contrast, a new Toyota HiAce van uses just 8.7 litres per 100 kilometres, but also has a much larger engine that will give a smoother ride. With less money spent on fuel, you’ll have more in the bank to cover other costs or to save for more new equipment. That’s going to boost productivity and could shoot your business to a new level! To discuss your options for a new vehicle and to learn more about low doc loans, get in touch with AAA Finance today. Your business will thank you.